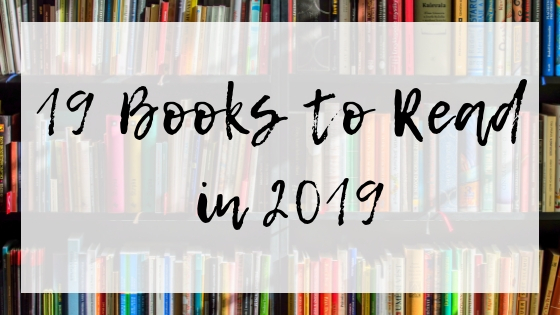 I have an eclectic reading taste, as you’ll discover if you check out the list of books I hope to read this year. 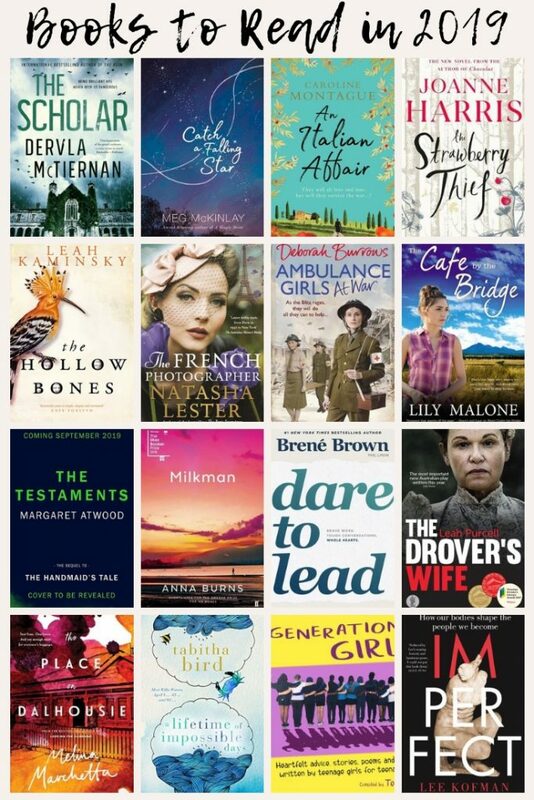 Some have won awards, others are by favourite authors, and still more have caught my eye simply because they sound like a great weekend read. 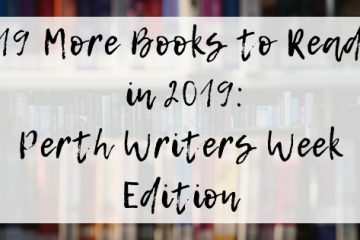 This year, I’m not committing to any of the various reading challenges around because I invariably reach the end of the year and realise I haven’t read the types of books I promised, nor written the required reviews. What I will attempt to do is post a photo of the books I do read and enjoy. The Scholar is Dervla McTiernan’s second novel about Irish Detective Cormac Reilly. Reilly is called to solve another murder after his partner, Dr Emma Sweeney stumbles across the victim of a hit and run outside Galway University late one evening. Why I want to read it: I loved McTiernan’s debut novel, The Ruin, so keen to read its sequel, The Scholar. Why I want to read it: I’ll read anything by Meg McKinlay, and then usually recommend it to younger readers I know. When Alessandra Durrante inherits her grandmother’s house in Italy, she and her daughter move from London to make a new life there. Under the threat of war, Alessandra’s house becomes a refuge for those who need it. Why I want to read it: I’m fascinated by Italy during the Second World War, particularly the stories of those who resisted the fascist regime and risked their lives to help prisoners-of-war, partisans and Jews. I confess I watched the film version, Chocolat, before I’d ever heard of Joanne Harris or her novels, but I have since read the others in this series, and I’m now a fan – of both the books and the author’s tweets. The Strawberry Thief is the fourth in the Chocolat series. Why I want to read it: I love the characters of Vianne Rocher and her daughter, Rosette, but over the course of three novels, I’ve been drawn into the little village of Lansquenet-sous-Tannes as well. I want to find out what happens next. Why I want to read it: I’ve been following Leah Kaminsky on social media for a couple of years, but not yet read her work, although her debut novel, The Waiting Room, has been highly recommended by several fellow writers. Natasha Lester is building a name for action-packed historical fiction, and The French Photographer promises to be another great read. The French Photographer contains dual narratives, one set in war time France and New York, and the other in 2005. Although fiction, it is inspired by the true story of Lee Miller, Vogue model turned one of the first female war photojournalists. Why I want to read it: I’m a Natasha Lester fan. 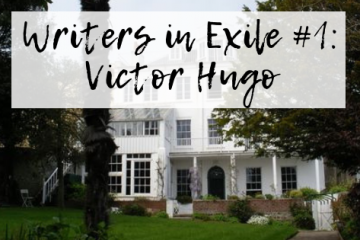 Not only does she write plot-twisting historical fiction with more than a touch of romance, but she is super gracious and generous to others in the writing community. I read Deborah Burrows’ debut novel, A Stranger in My Street, when I was researching war widows and the Second World War. Her first two novels are set in wartime Perth, and many of the war widows I spoke to felt that the world of these books rang true to their own memories of that time. Ambulance Girls at War is set a bit further from home, in London during the Blitz, and is the third in a series about the girls who braved the bombs to drive ambulances to help rescue the injured. Why I want to read it: I thoroughly enjoyed the first two titles in this series, Ambulance Girls and Ambulance Girls Under Fire, so can’t wait for this new one to be released. The Cafe by the Bridge is Lily Malone’s second novel in her Chalk Hill series, and slots into the rural fiction genre. Chalk Hill local, Abe Honeychurch, has been scammed out of a whole stack of money, as has the brother of child pschologist Taylor Woods. Taylor thinks that if she can enlist Abe’s support, she can get justice for her brother. Abe just wants to forget the whole saga, but increasingly finds Taylor difficult to ignore. Why I want to read it: I lost track of time reading Water Under the Bridge, Malone’s first book in this series of three. Hopefully the same will happen with The Cafe by the Bridge. Why I want to read it: While I can understand the reason for the televison storyline, and will probably persevere with the next season, I’m keen to find out how Margaret Atwood imagines Offred’s future in The Testaments. Anna Burns’ novel Milkman about the Troubles in Belfast (although this is not explicitly stated) won the 2018 Man Booker Prize. Some have loved it, and others have struggled with it’s unusual style, one of which is to not use proper names for characters. Why I want to read it: My grandmother grew up in Belfast, although she left many years before this time. Plus it’s probably time I read a Man Booker Prize winner. Why I want to read it: Much of what Brene Brown has to say about shame and vulnerability has resonated with me in the past. I’m also a reluctant leader – my tendency is to support others, rather than step up – so I think I’ll benefit from Brown’s wisdom about ‘daring to lead’. Leah Purcell has reimagined Henry Lawson’s short story, ‘The Drover’s Wife’, first as a play which premiered in 2016, and now as a novel, The Drover’s Wife: The Legend of Molly Johnson. Why I want to read it: I grew up hearing the stories of writers such as Henry Lawson, including ‘The Drover’s Wife’. Set in the years following the Second World War, Aboriginal matriarch, Odette Brown, and her granddaughter, Sissy, are living together in a country town when Sissy comes under the unwanted eye of the town’s newly appointed policeman. Why I want to read it: I first came across Tony Birch when I read his short story collection, Shadowboxing. It’s about time I read one of his novels. Plus, the experiences of Aboriginal people in post-war Australia have been side-lined for far too long. Set around the time of the 2003 Iraq War, Act of Grace contains seven linked short stories about family, violence, fear, and sacrifice. I’m particularly interested in reading the different experiences of the Iraq War, which include that of a returning Australian soldier, as well as the story of an Iraqi girl, whose mother helps Saddam Hussein with his poetry. Why I want to read it: I’m keen to write some short stories this year, and have been interested in the idea of interlinked stories since reading Tim Winton’s The Turning (2004) and Tony Birch’s Shadowboxing (2006). Why I want to read it: I’m interested to see how Tess Woods deals with the Vietnam War and the impact on its veterans and their families. I’m also fascinated by intergenerational connections. The story centres on Rosie, who has returned to her father’s home in Sydney after two years away, to find her stepmother living there. Then there’s Jimmy who re-enters Rosie’s life while grappling with what it might mean to have a family of his own. The publisher describes The Place on Dalhousie as “an unforgettable story about losing love and finding love; about the interconnectedness of lives and the true nature of belonging”. 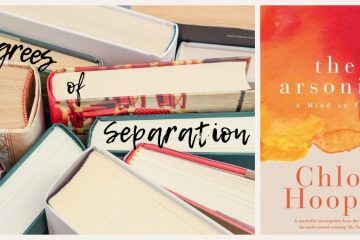 Why I want to read it: While I love Melina Marchetta’s YA novels, such as Looking for Alibrandi and On the Jellicoe Road, it’s probably time for me to check out her books for adults. In 1965, eight-year-old Willa Waters receives a mysterious box containing a jar of water and the instruction: ‘One ocean: plant in the backyard.’ So she does – and somehow creates an extraordinary time-slip that allows her to visit her future selves, aged 33 and 93. What is the warning 93-year-old Willa must remember to give her past selves? Why I want to read it: I’ve followed Tabitha Bird on social media for some time, and I’d like to support her debut novel. Last year, Tess Woods volunteered her time to mentor a group of high school girls in Perth’s northern suburbs. Generation Girls is the anthology of the creative work arising out of those workshops. Why I want to read it: I mentor children and young people in a similar demographic, and I’d like to a) understand what makes them tick and b) learn from Woods’ approach in order to help other young people reach their creative potential. By the time Koffman was 11, she had undergone several major surgeries, on both a defective heart and injuries sustained in a bus accident. It was only later that she began to think these markings weren’t badges of honour to flaunt but instead imperfections that needed to be concealed. Imperfect is a ‘mix of memoir and cultural critique’ that ‘challenges us all to consider how we exist in the world and how our bodies shape the people we become’. Why I want to read it: I confess my motivation for reading Imperfect is because I don’t want my daughter, who has undergone lifesaving heart surgery, to be ashamed of her scars. Thus, I want to understand more about Koffman’s experiences. Are any of these on your to-be read pile? What other titles do you recommend I add to mine? Wow what a great list – thanks Melinda. And so nice to see local writers names as well. We have some incredibly talented local writers, dont we!? A great list, Melinda. One or two choices overlap mine and others inspire me to add them to my to be read pile, if not for this year then certainly down the track. Happy reading! Hi Marcia, I am chuffed that you think my list is worth following – let me know what you end up reading. Would love to chat about them with you. What are the ‘few others’ that you’re adding to the list?